Wonderful post as always. I think we all experience being a spanner or treating others in this way with predictable results of failure demand and increased eventual demand when ‘thresholds’ are met. Of course, people ‘corrode’ very differently from the happy spanner in the toolbox. 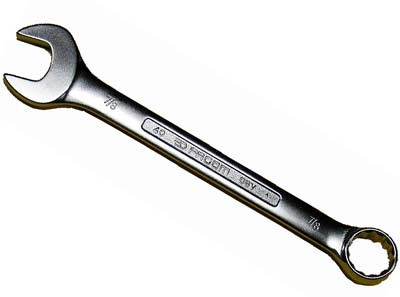 Just had that experience – the being treated like a spanner one, by a large bank, with frustrating and disconnected customer service. Their first faux pas was to tell me what a lovely sunny day it was, which immediately led me to suspect I was talking to someone on a different sub continent who had not taken the time to look at where I was in the world, and was reporting on the local UK forcast. The next “frustration factor” was the person on the other end of the phone had a whiny nasal tone, and was difficult to understand, they proceeded to attempt to procure information from me that was unrelated to the call and nigh on impossible to answer. To their credit and their training they did remain patient during our 17 minute and then a further 20 minute phone calls, as I got increasingly frustrated by their “system” and questions. One of the idiosyncrasies of this type of conversation is that they expect the customer to be able/ willing to answer personal and security related questions, meanwhile the customer must follow this system in absolute faith, with no guarentees that in this suspicious world, they are talking to the right person and giving them access to all of their security information.